While there's no shortage of ski wearables that can track performance, the Carv is one that will tell you where you're going wrong and how to fix it as you hurtle down the snowy mountains. London-based company Motion Metrics spent two years with professionals testing out the setup that's made up of an insert that measures less than a millimetre thick and slips into your ski boots. That works alongside a tracker that clips onto the outside of the boot. 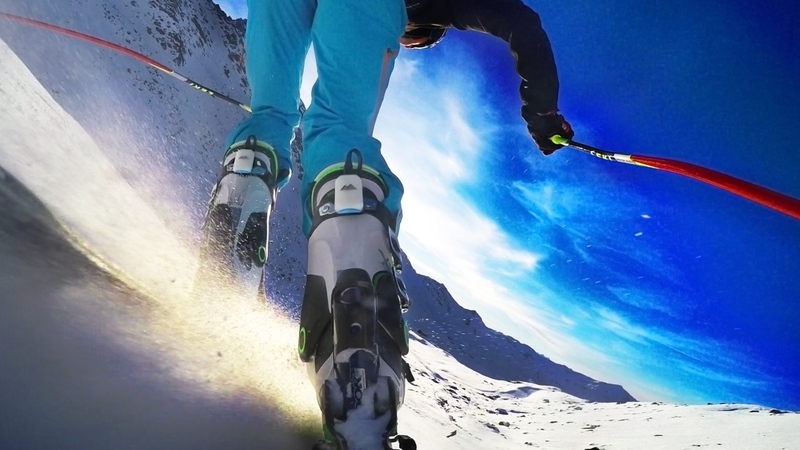 Using an array of motion and pressure sensors built into the boot liners, the Carv wearable is able to relay feedback on skiing technique to the companion app in real time, which sends vocal feedback through to your earphones on how to correct it. It's designed to offer help for both amateur and professional skiiers and is able to monitor all aspects of your technique including take-offs, landings, flips and pressure distribution. The Carv Android and iOS app can take you through specific drills, let you compete against friends and get more in-depth analysis on your ski sessions. You can also record runs and sync it with GoPro footage to overlay metrics and tricks on top of the video. All of the data is stored in the cloud and can be exported as raw data if you want to dig a little deeper. You can expect to get around 16 hours of coaching time out of the Carv setup and it's certified IP67 water resistant so should be robust enough to brave the wintry elements. The Carv Kickstarter campaign is only a few days old but it's already nearing its $50,000 goal. If you're sold on the wearable ski coach, a pledge of $169 will get you one when it ships in November 2016. Just in time for the ski season.